If you can add to this list please email us with the references to additional published papers, in the same format as below, so that we can add them here. CECCHI, F. and Others (1988) “State of the art of R&D in the anaerobic digestion process of municipal solid waste in Europe”, Biomass, 16, pp257-284. DE BAERE, L and SIX, W. (1989) “Dry anaerobic digestion of agro-industrial wastes”, in Landfill Gas and Anaerobic Digestion of Solid Waste”, Proceedings of International Conference held in Chester, England, October 1988, (Y.R.Alston and G.E. Richards – editors), Harwell Laboratory, UKAEA, Oxon. 0X11 ORA, pp545-549. HUBB, J.M. and others (1988) “Effect of lignin on the anaerobic degradation of (ligno) cellulosic wastes by rumen microorganisms“, Applied Microbiology and Biotechnology,29, pp408-412. JEWELL, W.J. 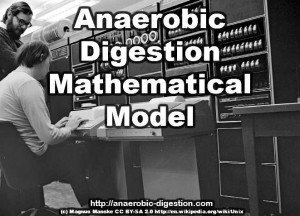 and others (1982) “Agtricultural and high strength wastes”, In Anaerobic Digestion 1981, Proceedings of the Second International Symposium on Anaerobic Digestion, AD’81, (D.E. Hughes and others editors), Travemunde, Germany, Elsevier Biomedical Press, Amersterdam, New York, Oxford, ppl51-168. McCARTY, P.L. (19 64) “Anaerobic waste treatment fundamentals, part three – toxic materials and their control”, Public Works November, 95, (11), pp91-94. PFEFFER, J.T. (1979) “Domestic refuse as a feed for digesters”, InAnaerobic Digestion 1981, Procedings of the First International Symposium on Anaerobic Digestion, AD 79, (D.A. Stafford, B.I. Wheatley & D.E. Hughes – editors), Cardiff, Applied Science Publishers Ltd, ppl87-203. PFEFFER, J.T. (1987) “Evaluation of the RefCOM proof- of-concept experiment” In Energy from Biomass and wastes X, (D.L. Klass – editor), Elsevier Applied Science, London and IGT, Chicago, ppll49-1171. WUJCIK, W.J. (1980) “Dry anaerobic fermentation”, Ph.D. Dissertation, Dept. of Agricultural Engineering, Cornell University, USA. 1988, (Y.R. Alston and G.E. Richards – editors), Harwell Laboratory, UKAEA, Oxon. 0X11 ORA, pp481-500. 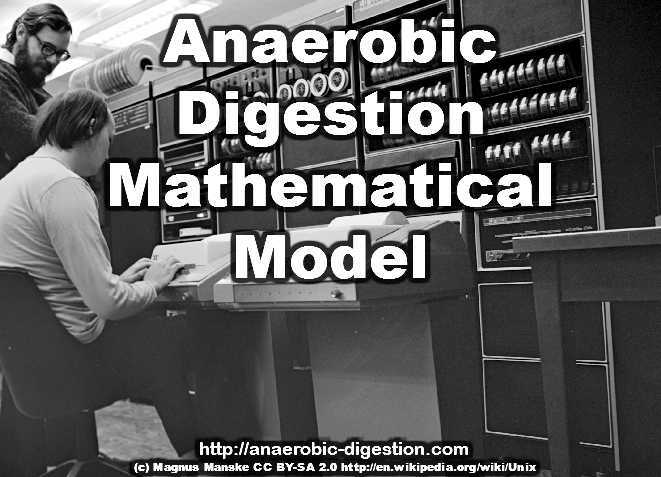 Thank you for your blog post and I have to set a project on the Anaerobic digestion model for income diversification. Your info on this energy maker is persuasive. Thanks Again. Dear Biogas Business. You ought to be making the biogas all-day, but there will be days when there is a power failure. Keep working, with one of our portable generators, fulfill orders within committed dates. This is the first of the finest blogs on the web! Is anaerobic digestion really the best model? If you are fortunate and have a natural source of running water on your property, then hydropower might be for you. Hydropower involves diverting a portion of the water through a turbine or a wheel in order to provide your home with power. Once you have the equipment, the power will be free and much cleaner than traditional electricity, gas, or oil.